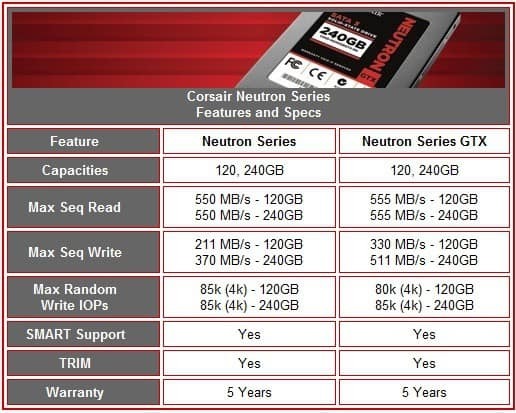 Corsair recently added the Neutron series SSDs to their existing line up. Previous asynchronous and synchronous Force series SSDs all made good use of the SandForce controller. 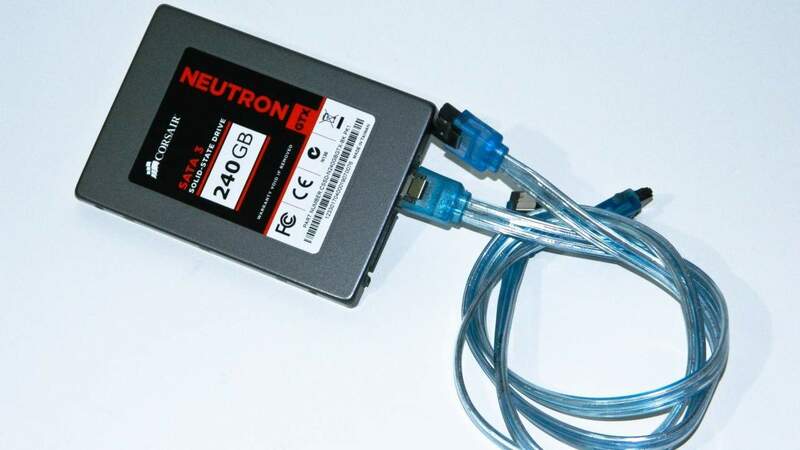 However, the latest Neutron series changes things up adding a Link-a-Media LM87800 controller to an otherwise successful fleet of drives based on Sandforce controllers. It also comes in two different flavors: The Neutron and Neutron GTX. The main difference between the two is the type of NAND Flash inside. The big question is how do they perform? Let's find out! 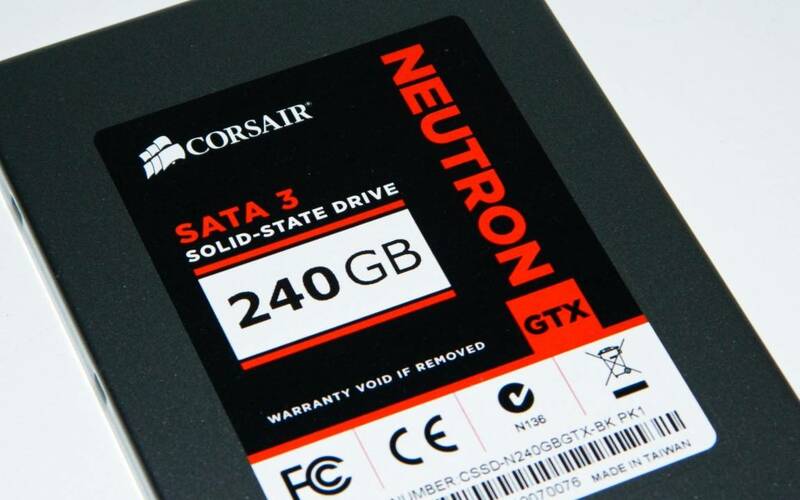 Both the Corsair Neutron and Neutron GTX 240GB SSD utilize the LAMD LM87800 controller. The major difference is the synchronous NAND implemented inside the GTX model. The other difference is that the standard Neutron contains Intel/Micron NAND while the Neutron GTX contains Samsung/Toshiba 24nm Toggle NAND. It's an interesting choice of implementation as we've seen Toshiba variants with the right controller, perform quite well in the 4K data block tests. Naturally, the GTX is the faster of the two on paper and is aimed at the ever demanding high performance user. This new series enclosure is also thinner than typical SSDs (7mm vs 9.5mm) making it easier to install two into slimmer notebooks like many of the new Ultrabooks on the market. 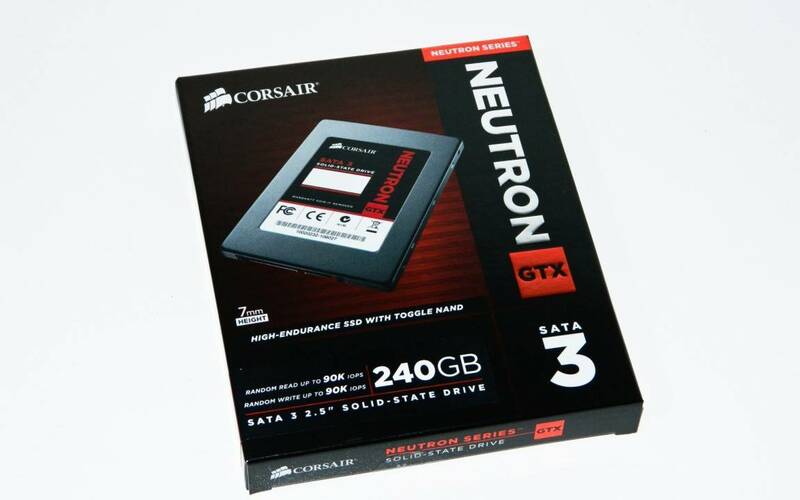 As far as pricing goes, the Neutron GTX 240GB (CSSD-N240GBGTX-BK) as tested is around $249.99 US but also comes in a smaller 120GB version ($154.99 US) and a much larger 480GB version ($549.99 US) as well. Corsair includes an adapter plate and screws for mounting the slimmer Neutron/Neutron GTX (or any SSD) in a standard desktop chassis. 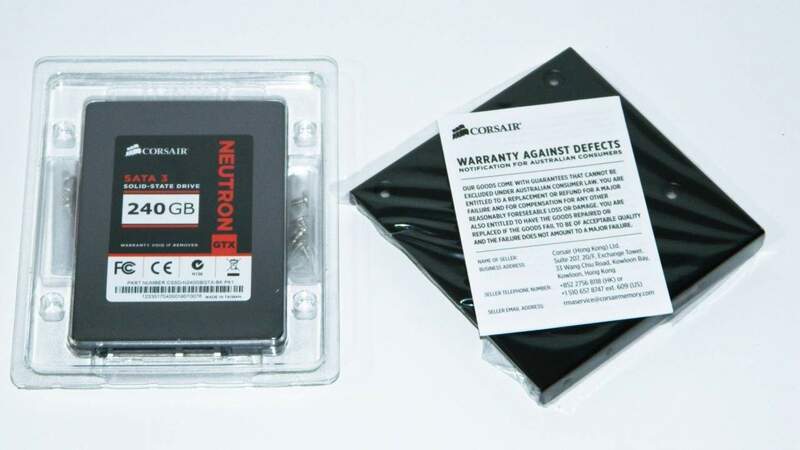 Some notebooks may also require the adapter if replacing the platter hard drive to make up the 2.5mm height difference at the Neutron GTX comes in a 7mm slim casing. No SSD flashing software is included which would have been a real time saver versus having to fish the software out of the CORSAIR forums. Even a URL in the documentation for quick reference would be better than nothing in this respect. I'm happy to report that the Neutron GTX works well right out of the box on the various Z68, X58, Z77, and X79 amassed in the labs over the last year. This is good sign. Especially since finding any news about firmware updates still has to be obtained via Corsair's forums only. While this is fine for some enthusiasts that hang out in the forums, it doesn't really help if you're in a hurry to get the information. I couldn't find a direct link on any of the SSD product home pages. There should be a more direct support route to downloads and utilities that does not segue through the forums. None the less, here is the test system configuration. The Intel PCH SATA3 ports on our GIGABYTE GA-Z77X-UP5-TH were used for testing. A few of the high performance SSDs from the round up we did over a year ago that are still supported were included to give a good snapshot of how this new drive was performing compared to the field. Synthetic benchmark in this review will include HD Tune Pro, ATTO and Crystaldiskmark. We'll also be using PCMark7 to gauge all around performance, plus a few of our own real world tests to round out the testing. Staring off with HD Tune Pro, you can see read and write performance. Simply install and run these very easy to use benchmark to see how your OS storage drive compares. These are essentially pretty decent bandwidth numbers. The CPU usage is extremely low thanks to the offloading controllers. So Who Won the EPIC PAX Prime 2012 Swag Giveaway Presented by Futurelooks and MEGATechNews?